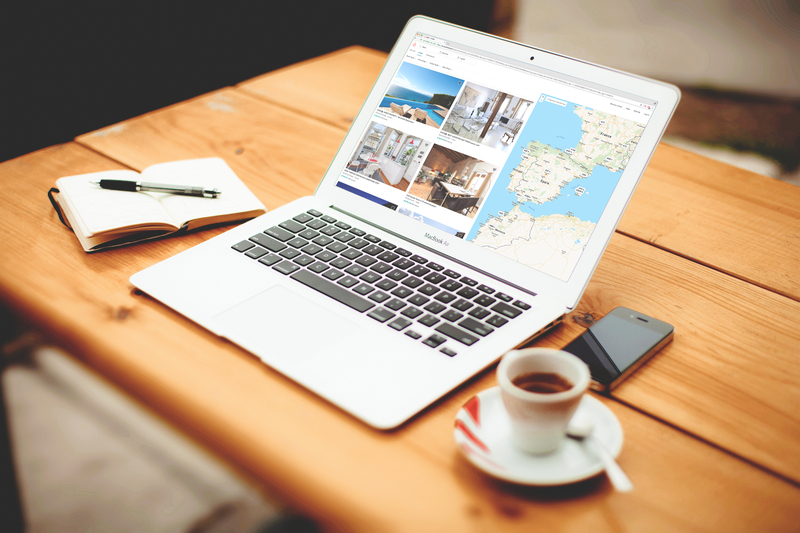 Airbnb is an online marketplace which allows the property owners to promote their hosting services and the people who are looking for the place to find the one matching their interest. Thinking about trying its services? Then read some insights about Airbnb here. Airbnb in Spain is a very popular website to search for a place to stay for few days, few weeks or even a month. It is a perfect temporary place to live, especially if you are looking where to stay from another country and you don’t know anyone in the city where you are moving in. You could try to search for the private landlord, however, most of them especially during off seasonal time would not like to rent you a place for a short period of time. Also, to rent something which you saw only through pictures, haven’t seen any reviews and pay a deposit to someone who you never met before can result in a fraud. Airbnb in such cases is a definitely safer way to go. Airbnb is so popular is Spain that you can for sure easily find not few but way more options to choose from. Type your city of preference, date and price range and start your search. Photos, Reviews of the previous guests, location, facilities and price will definitely help you to find the best value for money. Moreover, Airbnb is designed to meet different needs. If you are a traveler not planning to stay too long and focusing on spending your money somewhere else apart from renting a place, you might be interested checking rent a room or share room options. If you are planning to stay longer or looking for a nice private space to hang out, you may be interested looking for entire home option whether it is a flat or house. In addition, Airbnb offers a good pricing if booked with time. Airbnb normally works out cheaper than a hotel, thus renting an accommodation through it could save some reasonable amount of money. €25 towards your first trip of €55 or more. Despite all pros, Airbnb has some minuses of its services. Let’s look at some extra charges, security, and convenience. First of all some places to some limitations such as stay no less than two nights, or stay no longer than a month. The minimum stay is normally applied for the convenience of the host. In this way, he/she avoids every day move in, move out state thus less cleaning, time spent on meeting the guests and so on. Also, many of the places apply the charge for so-called “Extra people” as well as “Cleaning fee”. Extra people fee is the fee applied to the every other guest/ per night who will stay in the accommodation. Cleaning fee is a one time charge applied by the host for providing you clean facilities and cleaning after you leave. Moreover, all of them include “service fee” which can vary from 2 euros per night and per guest up to 10 euros or even more. So be careful when doing a booking! In addition to this, the convenience question might be concerning. For example, if you arrive late and you need to pick up the keys not all hosts will be happy to stay late and wait for you. Or if you are totally new to the place and find it hard or stressful to search for the location of the rented Airbnb place, you may like to ask them to pick you up from the airport or train/ bus station. However, again some of them might offer you their lift by themselves but some not. Furthermore, although the Airbnb is a safer option than renting completely privately it still might be risky. For instance, photos, facilities, and descriptions might be inaccurate or far from reality. Also, you might be in the situation when your host is not very responsible and is late or never shows up. Your booking may also be canceled without any reason a few days before your trip. There are a lot of bad and good experience shared by Airbnb hosts and guests. However, how to be the lucky guest and avoid the disappointment? Here are some times for you. First of all, try to choose the hosts which are ranked the highest and have the most reviews. The higher the ranking and the more reviews the host and his/her place have, the better possibility for you to have a great experience. Try to contact the host before making a booking. Ask all the questions before hand. If the host responds fast and gives all the answers to your questions this lowers the probability of cancellation or lack of communication in the future. This is a rule gained from our personal experience which should be used by everyone who has even a tiny doubt in his/her heads. Double check everything at least a few days beforehand. Contact the host and ask for confirmation. We would also suggest finding the fastest way of communication, for example, Whats app, in order to avoid stress while waiting for a response from your host. Moreover, if the host will not pick you up, make sure that you have a full address and you have all the information needed to stay stress-free. Here you have the Newly Spanish team insight of Airbnb. Feel free to share your experience, tips, and tricks with us via email or in the comments below.